Noble Impact, a brand new entrepreneurial course at Sheridan High School, is connecting Sheridan High School students to real-life work opportunities. 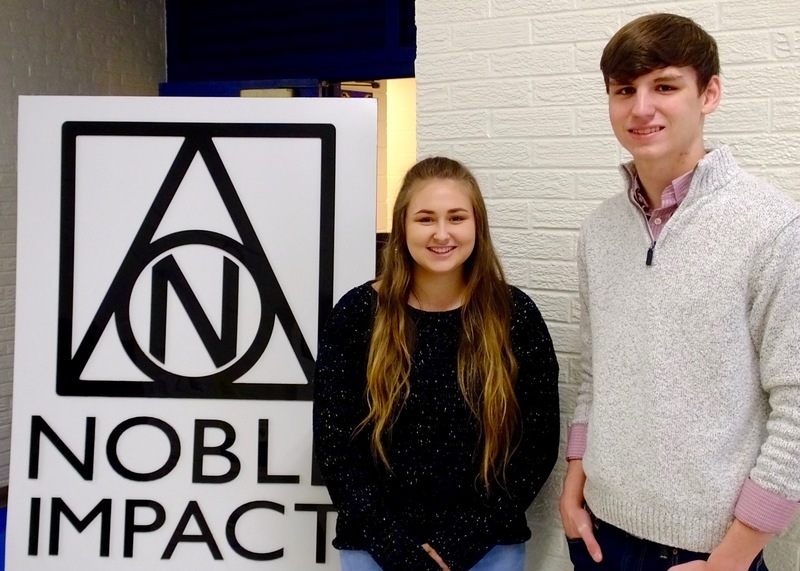 Through Noble Impact, seniors Noah Carraway and Shelbie Hall, recently began internships usually reserved for college students. Carraway is serving as an apprentice at Apptegy, a website development company based in Little Rock. Hall started an internship with Lauren Goins, the communications director for the Sheridan School District. In this internship, Hall is able to gain work experience in public relations and get a feel for a possible career. Both of the interns agree that the experience they are gaining will be extremely helpful in their futures. Connections to internships is just one piece of the Noble Impact course. The course has created buzz all throughout the state. Sheridan School District was the first public school to offer this career education, and seven other school districts are now following Sheridan’s footsteps. The course is designed to get students engaged in learning through an entrepreneurial skill set and public service mindset. Through public speaking and journaling, students are able to gain relevant experiences and tools that enable them to navigate the real world. For more information about the Noble Impact course at Sheridan High School, contact Kinser at charliekinser@sheridanschools.org.